Leather bracelet with Beach Buggy chunks for lampwork cabochons. Handsewn, double layered leather. Edges are hand colored. Our chunks are compatible with all original noosa products. 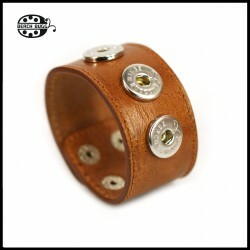 Material: leather made in Spain, plated copper. 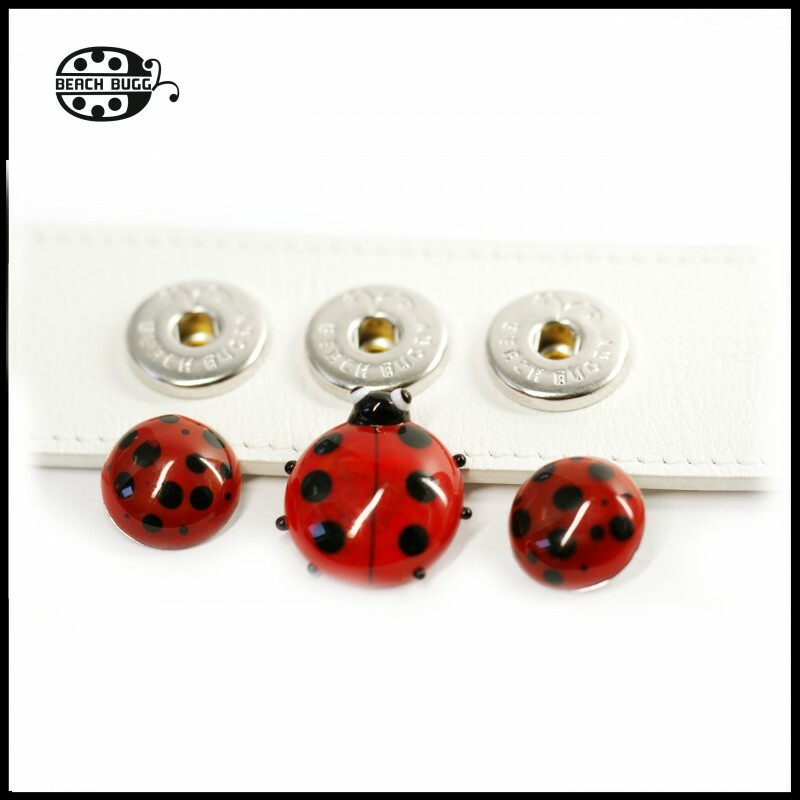 We order very high quality leather from Spain for our jewelry. 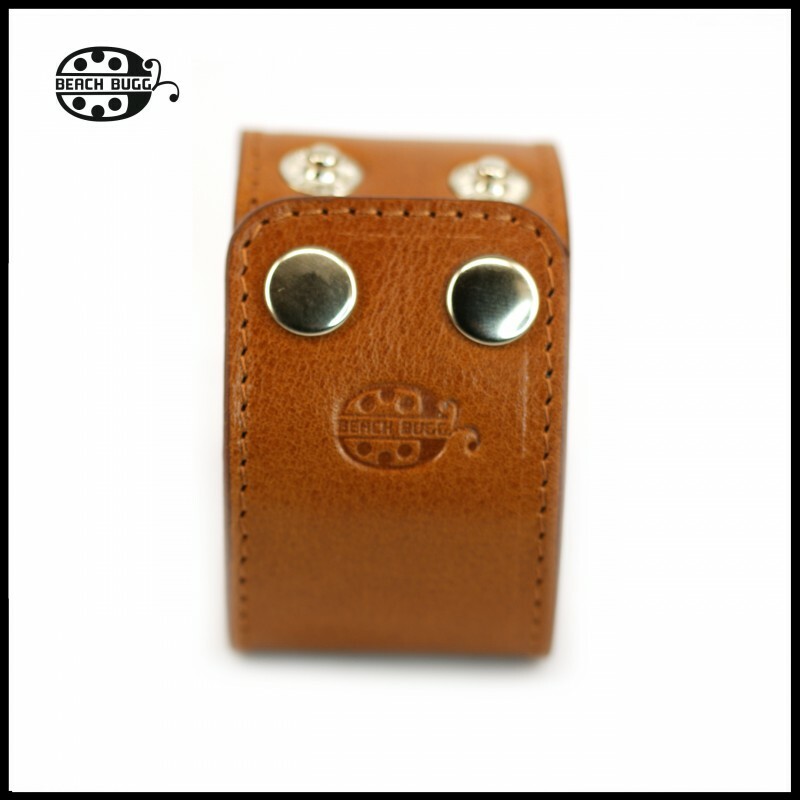 Between two orders the leather type can be different. 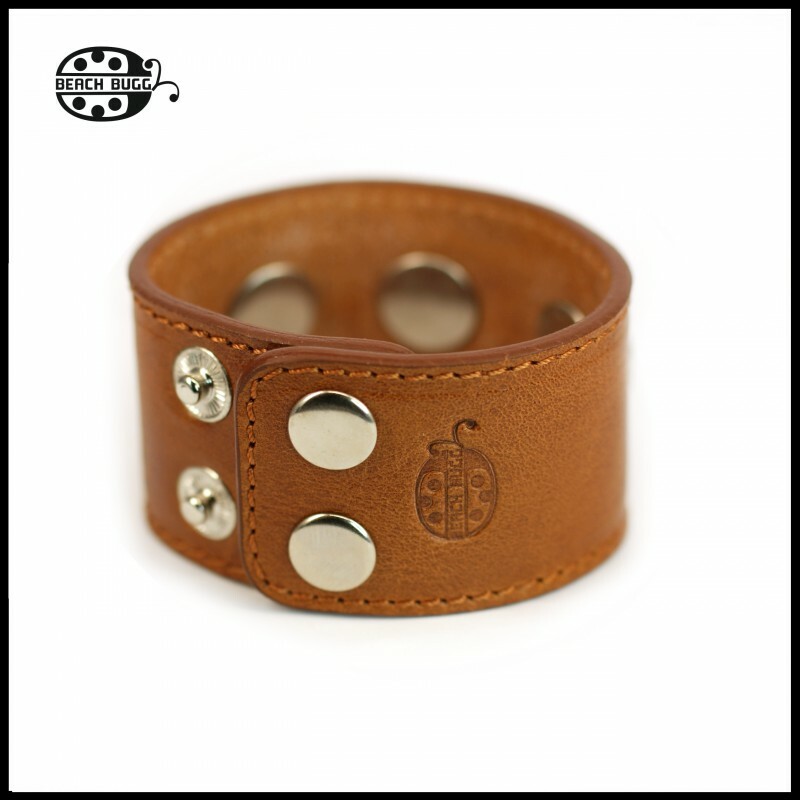 Please notice between two bracelet with the same color the leather quality can be different.